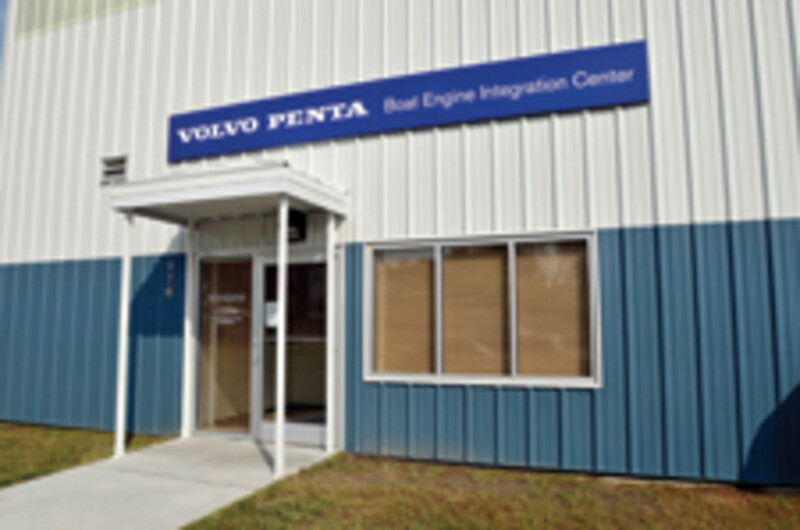 Volvo Penta&apos;s days as just an engine company have evolved into something bigger. I&apos;m a lucky guy. Ever since Volvo Penta introduced IPS to the world of recreational watercraft some four years ago, I&apos;ve had the opportunity to test drive a bunch of pod-equipped boats, not only those equipped with Volvo Penta systems but also those equipped with the Zeus system from Brunswick Corporation&apos;s Cummins MerCruiser Diesel. For sure, my wheel (and joystick) time on these vessels was pure, ever-lovin&apos; fun, but it was also pretty darn instructive, particularly once I&apos;d test-driven enough vessels to do knowledgeable contrasting and comparing. Conclusions arose, of course, and the first one popped up rather quickly: All vessels with pod propulsion are not equal. Specifically, while virtually all such vessels maneuver stunningly dockside thanks to joystick controls, only a portion run optimally in open water, with speeds, operational efficiencies, and handling characteristics worth extolling. The second conclusion took a bit longer to surface but packs way more wallop. The pod-equipped vessels that handle sweetly in open water share a single characteristic: They have hull forms that were tweaked and balanced to take maximum advantage of their propulsion systems. The folks at Volvo Penta of the Americas, based in Chesapeake, Virginia, apparently agree with my musings, and not just theoretically. (How wonderful it is having your pet notions affirmed, if only now and again.) 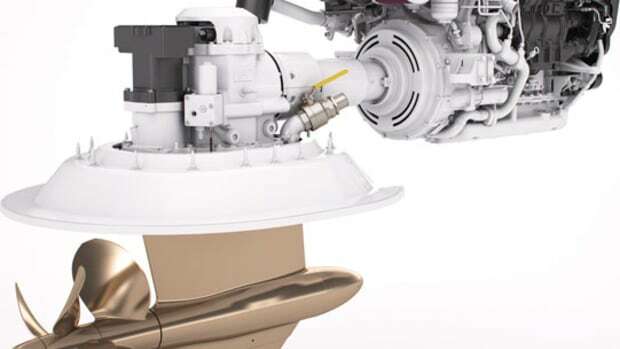 A couple of months ago, the manufacturer that intro&apos;d the first recreational pod propulsion package also intro&apos;d the first facility expressly created to help boatbuilders optimize the relationship between the pod-type watercraft they build and the new-age machinery they install to propel them. 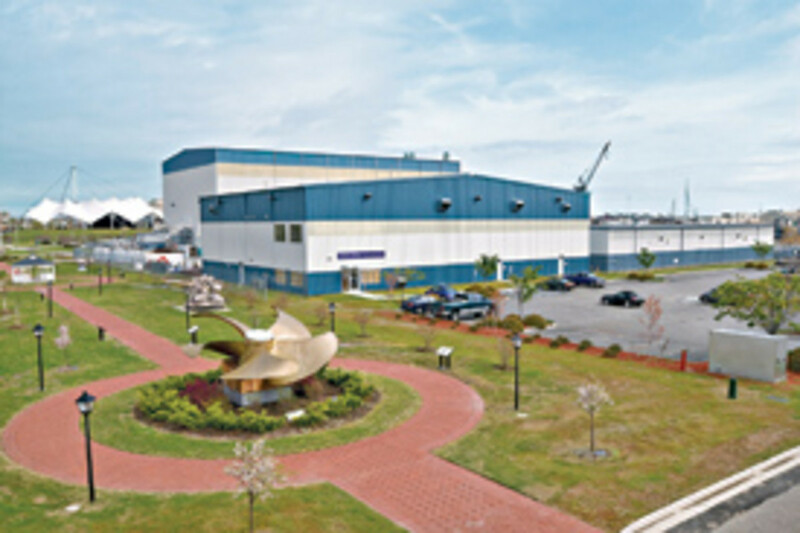 Called the Boat Engine Integration Center (BEIC) and situated on the edge of the Intracoastal Waterway in Portsmouth, Virginia, the multimillion-dollar, 18,500-square-foot facility is partitioned into offices, a design center (with Rhino, AutoCAD, and sophisticated Pro E computer-modeling and remodeling capabilities), and machine shops. There also a construction bay capacious enough to hold vessels up to 110 feet with enormous portable privacy screens to prevent the spread of proprietary technology and design from one boatbuilder to another. The potential is extraordinary. 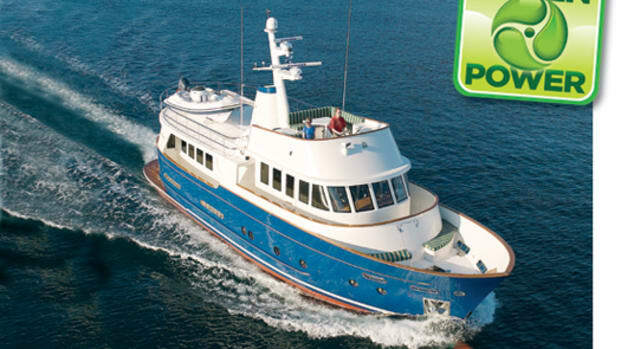 In addition to a wealth of hands-on experience with IPS installation basics, BEIC&apos;s ten-person cadre of engineers, fabrication techs, laminators, and managers offers a host of skills aimed at shortening the IPS learning curve for boatbuilders. Capabilities include creation of engine-room layouts (complete with placement of auxiliary equipment as well as plumbing, electrical, and other runs) for new vessels; revamp of hull forms and/or stringer grids (sometimes with help from consultant and naval architectural/engineering firm Donald L. Blount & Associates); design and construction of model-specific engine mounts; training in documentation and service procedures for builders involved in both IPS and non-IPS projects; and optimization of helm ergonomics (again, for both IPS and non-IPS projects) with the assistance of Volvo Penta&apos;s automotive resource, Volvo Technology. "It&apos;s a whole new approach," says vice president of marine diesel business Kent Lundgren. "Rather than simply selling and shipping a builder a couple of engines in a box and hoping for a good outcome, BEIC lets us work with the builder as early as the concept phase. 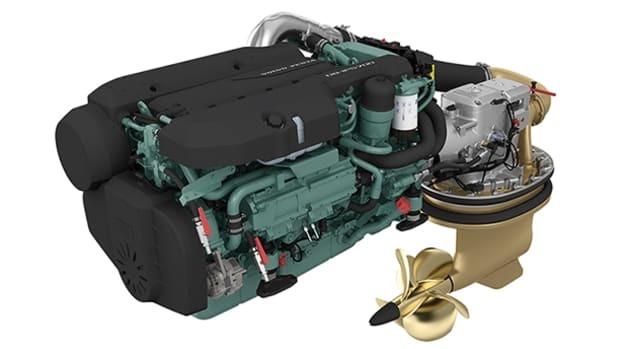 And by doing this, we&apos;re able to apply aspects of IPS-related naval architecture and engineering we at Volvo have learned over the years and come up with very solid levels of quality and performance." Lundgren&apos;s remarks are well-taken. In my opinion, all pod propulsion systems entail an after shift in Longitudinal Center of Gravity (LCG) because the engines are farther aft, due to the shorter (compared to conventional inboards) distance between pods and engines. 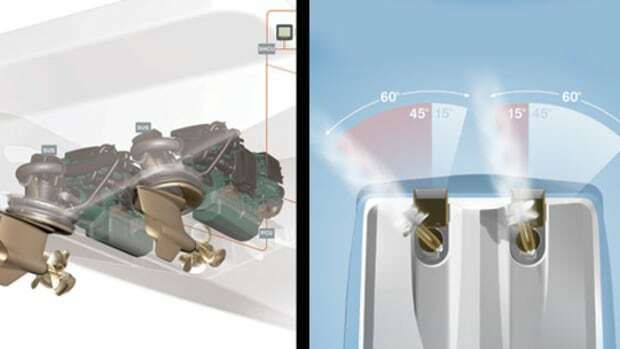 If not addressed by either shifting weight, modifying the running bottom (by adding "hook" or wedges at the transom, for example), or by taking some other action, vessels can wind up running nose-high, a condition that reduces efficiency and speeds and can interfere with sightlines forward. Addressing such issues at the concept phase can often be a complex process. General manager Ed Szilagyi says his team has already successfully dealt with several challenging projects since BEIC&apos;s startup in April. 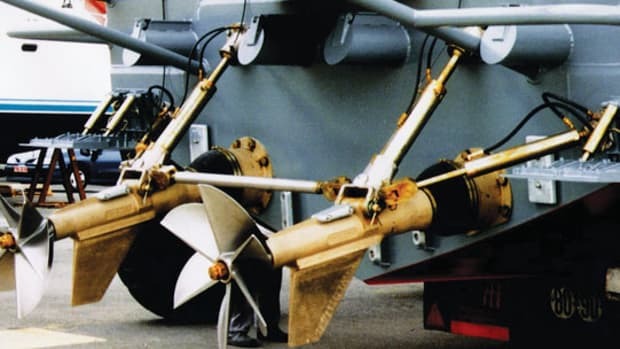 For example, they&apos;ve resorted to everything from sawing off the entire running surface of a Formula so it could be replaced with a more IPS-friendly substitute to doing a repower (non-IPS) of a lobster yacht, complete with documentation of all parts, lamination schedules, man-hours, and costs. "The documentation thing was really important, especially to the builder we did the work for," says Szilagyi. "Now he&apos;s got a ballpark idea of what a repower costs, how many hours are necessary to complete the job, and about what he oughtta charge the customer." While Szilagyi&apos;s the consummate engine guy, with a long tenure at Volvo Penta and a mindset focused on powerplants and propulsion systems, he&apos;s got an equally seasoned colleague at BEIC, Mike Meyer, whose approach is considerably different. A former boatbuilder with a high-profile career that predates his consultancy with Volvo Penta by decades, Meyer sees BEIC as "the next step" in boatbuilding. Engineers working beyond BEIC&apos;s door can tweak IPS-dedicated running surfaces to a fare-thee-well. 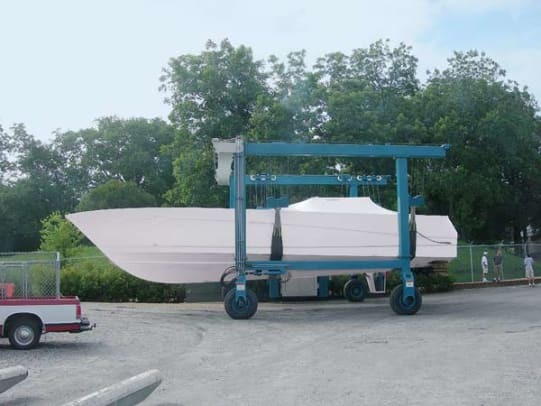 "In the old days, before IPS consolidated so many functions into one easy-to-install package," notes Meyer, "we as builders had to deal with, on average, 140 unique parts when we were putting together, say, a conventional inboard installation for a 40-foot boat. Vibration was inevitable—we just tried to keep it down low enough so the customer could live with it. And mind you, that was just inboards! 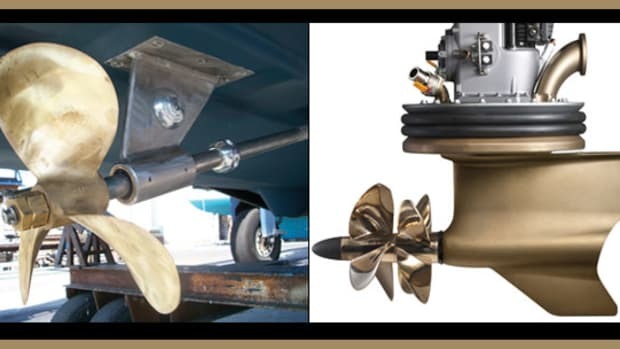 Lots of times, on a single model, we&apos;d also have to deal with stern drives and surface drives as options, exhaust systems and how to route them, where to put bow and stern thrusters, and how to configure steering systems. 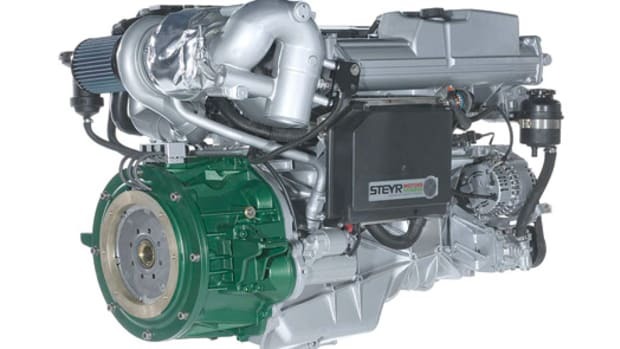 Shoot—it was not all that uncommon to deal with as many as 60 separate suppliers to put together a single inboard powerplant!" What Meyer is getting at here is not entirely about the production simplifications and efficiencies that IPS brings to the realm of boatbuilding. He&apos;s also alluding to the uncertainties that IPS and BEIC are slowly but surely squeezing out of the boatbuilding process, essentially by improving the relationship between builders and engine manufacturers. As it is, things have already changed considerably. Should a builder decide to produce an IPS vessel with BEIC involvement today, the folks at the facility say they can not only reduce the inevitable worries and stresses associated with the project but also make sure the end product performs predictably. 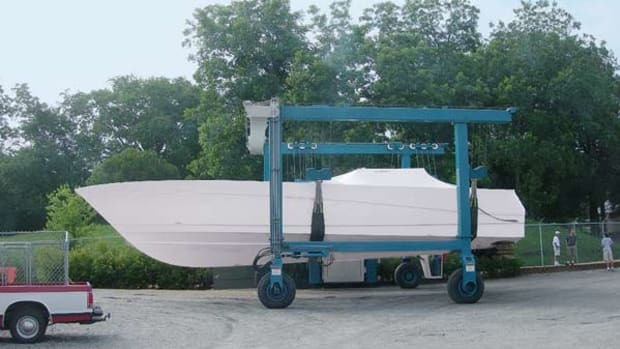 More to the point, they say they can modify a builder&apos;s prototype hull, install IPS units (while offering installation training for the builder&apos;s technicians), ballast the hull to achieve the required performance parameters, and test drive it in open water with a temporary helm to make sure the performance predictions are met before shipping it back home. Or on the less-involved (and less-costly) end of the spectrum, BEIC can simply advise builders from afar, exchanging electronic drawings and models, LCG positioning data, and installation suggestions. "Yeah, collaborative relationships between builders and engine manufacturers are great," concludes Meyer. "But when you think about it, there&apos;s something that&apos;s way more important going on here. 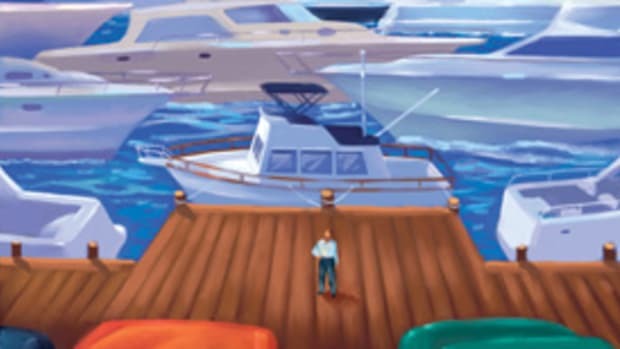 "Building boats that are super-reliable, super-serviceable, and ultimately super-fun is not only good for builders and engine manufacturers, it&apos;s real good for owners, too." IPS vs. Zeus: Which is Better?